David Doyle’s Fantastic New Book on the Panzer IV Tank! 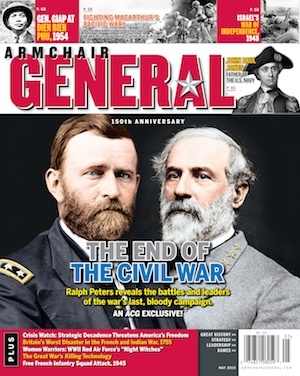 Book Review | Armchair General Magazine - We Put YOU in Command! Prolific military scholar David Doyle has outdone himself with this 2017 look at the venerable Panzer IV medium tank. The Panzer IV (Pz IV) was, as the book’s title indicates, the backbone of the German Army during the 1940s. It was found serving on all fronts and over 8,500 tanks of this type were produced. This 112 page book is arranged with each chapter looking at a different Pz IV model from the prototype and Type As to the last production model, the Type J. Each chapter features a thorough discussion of the Type with a handy table showing the dimensions, engine type and performance, crew, speeds, fording depth and trench crossing ability and armaments of each particular model. In addition, the manufacturers, chassis numbers and quantities of each type are also shown. Crystal clear black and white and colored pictures are also expertly reproduced from sources such as the National Archives and the Patton Museum. I found the early prototype pictures to be especially fascinating. The design of the Neubaufahrzeug No. 1 looks somewhat like the World War I concept of the “land battleship” taken to a new level. This type of design was also put into production by Russia as their T-35 model tank; a design which ultimately proved to be a failure. Doyle also provides an in depth look at the technological innovations which made the Pz IV such a successful design but, when the design was regressive, such as the hand cranked turret on the Pz IV Type J, Doyle is quick to note the reason why this was thought to be a attribute but proved to be a detriment to the panzer crews. Doyle also spends time discussing the production issues with the various models of the Pz IV and how different factories developed different methods of meeting their assigned production needs especially given the conditions of Germany during the war years. Doyle goes in to the whys and wherefores of the different types as well as the modifications within the type in regards to armament thickness, additional machine gun mounts, etc. All of it is very informative for both the historian, miniature modeler and the war gaming enthusiast. I was stunned by the high quality of this hard cover book especially for its low retail cost of just under $20. If all the books in this series meet that price point, I will have to pick up the whole library. The Legends of Warfare series also includes in depth looks at aircrafts and ships in addition to the ground units line. All in all, anyone interested in the Panzer IV tank can’t go wrong by picking up Doyle’s engaging Legends of Ground Warfare Panzerkampfwagen IV The Backbone of Germany’s WW II Tank Force!